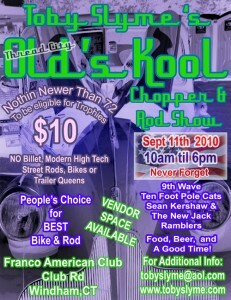 ** People Choice for Best Bike and Rod** Nothing Newer than ’72 to be eligible for trophies! 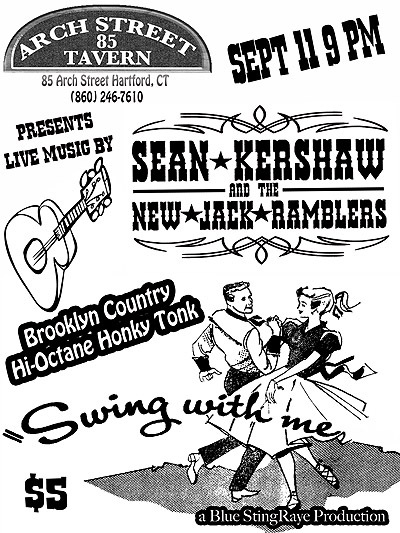 Sean Kershaw & the New Jack Ramblers debut at Arch Street Tavern in Hartford CT on September 11, 2010 with their very own hi-octane honky tonk. Band plays from 9 pm – close. 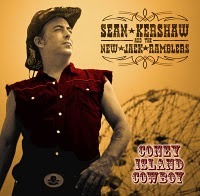 Get your dance shoes and your dance partner ready as they roll thru tried and true trucking tunes as well as western-swing, honky tonk and original material off the latest CD “Coney Island Cowboy”. If you didn’t get one at the show buy one here direct from the artist. Brooklyn Country invades the South July 4th weekend,Sean Kershaw and the New Jack Ramblers will be in NC for three dates. The day couldn’t have looked or sounded more perfect last Saturday in Northport, NY. As I arrived at the Northport Firemen’s Fairgrounds under bright blue skies I was greeted with the aroma of gasoline and the sounds of Sean Kershaw & the New Jack Ramblers wafting over head. 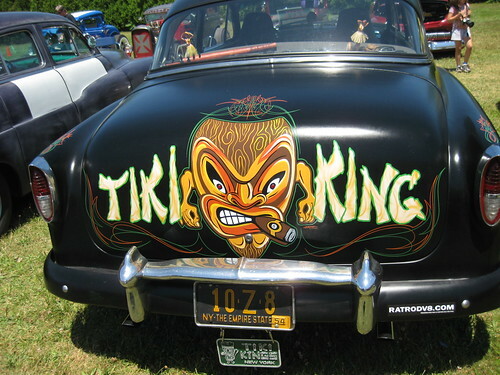 There were hot rods and rat rods from all over the island, including the The Rumblers CC, Tiki Kings Car Club and The Rat Rods (see pictures in flickr file). Many of the vixen-like vehicles had been dolled up with names like “Armed and Dangerous” and the “Jade Grenade”. I loved looking at the cars as much as I loved the music. 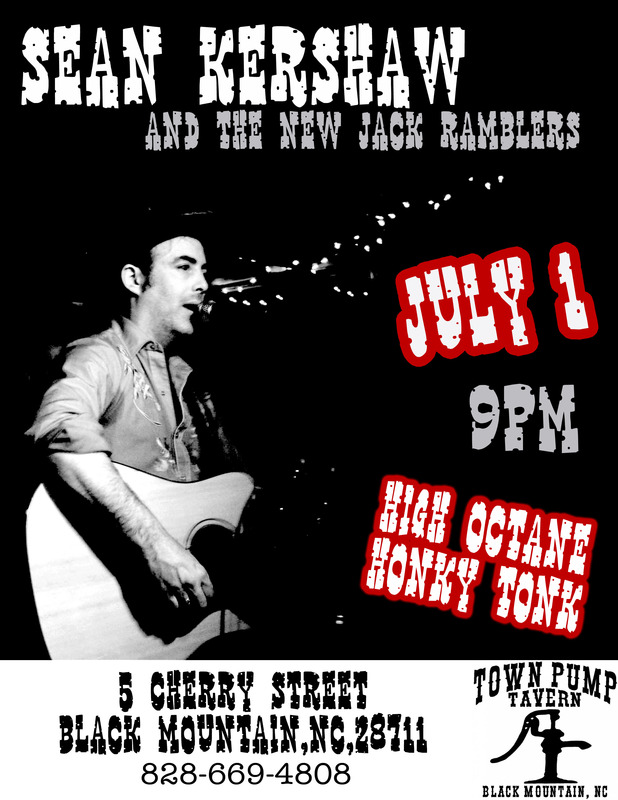 Sean Kershaw & the New Jack Ramblers opened the show shortly after 12 noon with their very own hi-octane honky tonk. How fitting for a hot rod show! 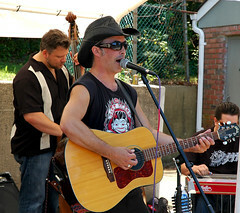 The band played tried and true trucking tunes as well as original material off the latest CD “Coney Island Cowboy”. 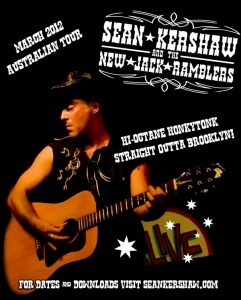 Pick one up at www.seankershaw.com or at one of the upcoming shows. Pulling into second place was a swingin’ foursome, Phill Billy Deluxe and they were. 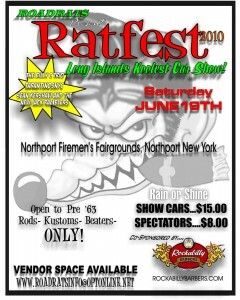 The band was quickly pulled together for Rat Fest 2010 and played their hearts for the ever growing crowd. They were the cure for the “Summer Time Blues”. Racing to the finish was the surf, soul and spaghetti western sounds of the TarantinosNYC. They rocked out on covers such as Los Straightjackets Rockula and an assortment of pulp movie music. They are and will remain one of the most solid surf bands on the East Coast. You can grab their debut CD at www.tarantinosnyc.com . Best of all, I got to hang out with lots of familiar faces, “Filthy Phil” Ackerman (The Mowers), Johnny “I Play Loud” Cola (The Wraydars), Dawn Gund, and Vince G. (Strange But Surf). All in all, it was a perfect day and I am so happy that I was able to be a part of it. Northern State Parkway to Exit 42 N (RT 231/Deer Park Rd), bare Right to RT 66 N. Go about a mile and you’ll blend onto Jericho Tpke. After crossover Elwood turns into Resevoir, keep going and it turns into Church St., then turns into Ocean. On Ocean turn left onto Steers Ave., sign says “Steer Ball Fields”. 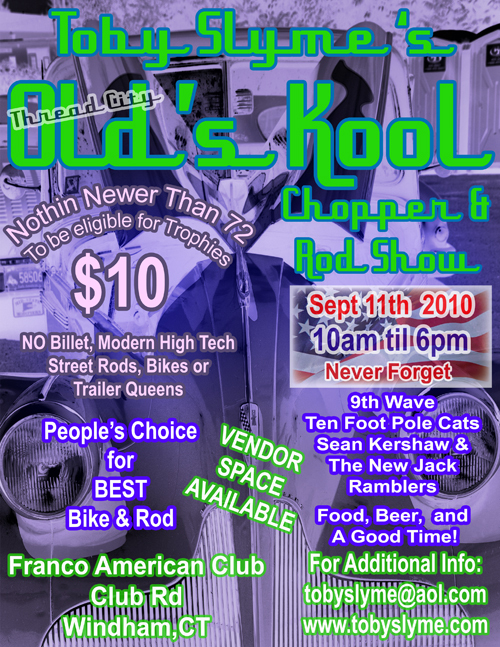 Then a right onto Clipper at the bottom of the hill,.Show is on the corner of Clipper Drive and Steers Ave. If spectator parking is full continue on Clipper 3 blocks to dead end and there are soccer fields with additional parking. For our friends that are from the north, Connecticut, and New England Ya all can take the Bridgeport Connecticut. 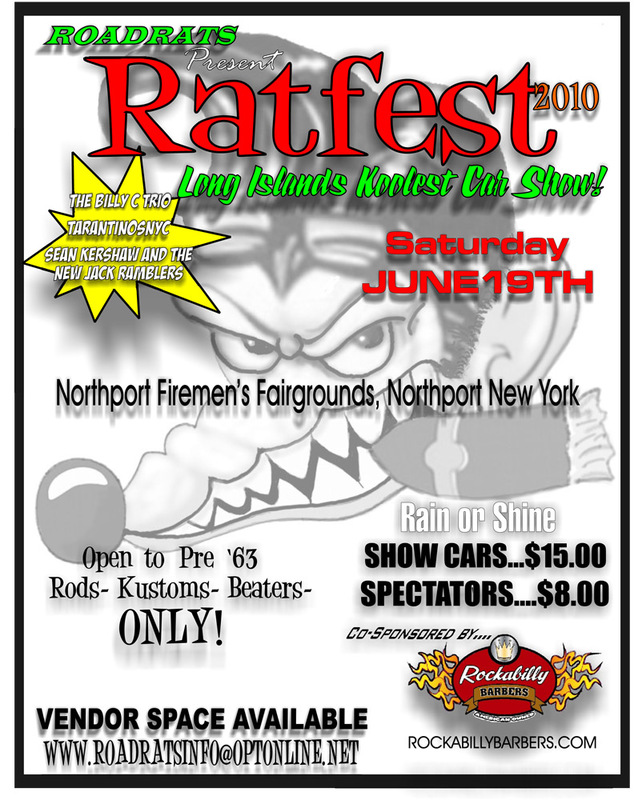 Ferry across OUR Long Island sound to Port Jefferson .The salt water in the air is good for Rat Rods. Thursdays with Sean Kershaw & the Terrible Two! 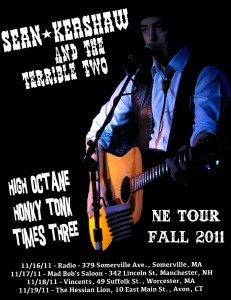 Thursdays w/ Sean Kershaw & the Terrible Two! 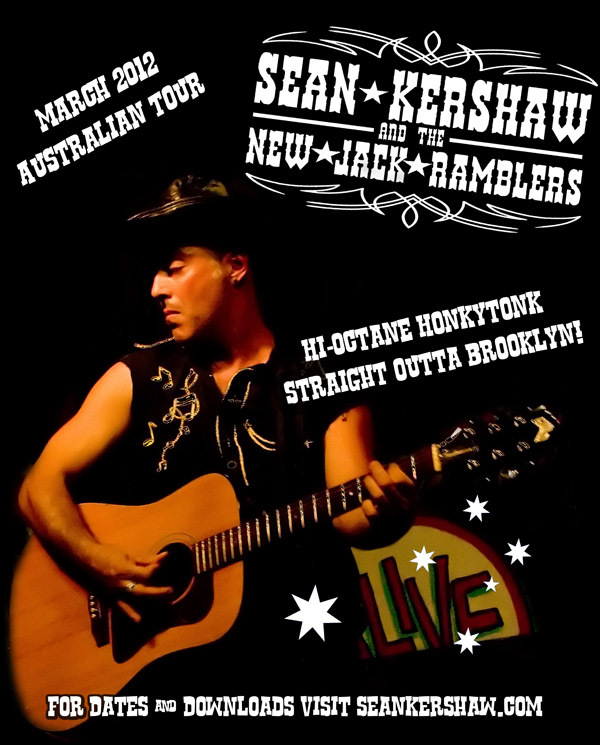 Sean Kershaw & the Terrible Two is a classic honky tonk trio, acoustic guitar, lead telecaster, stand-up bass. 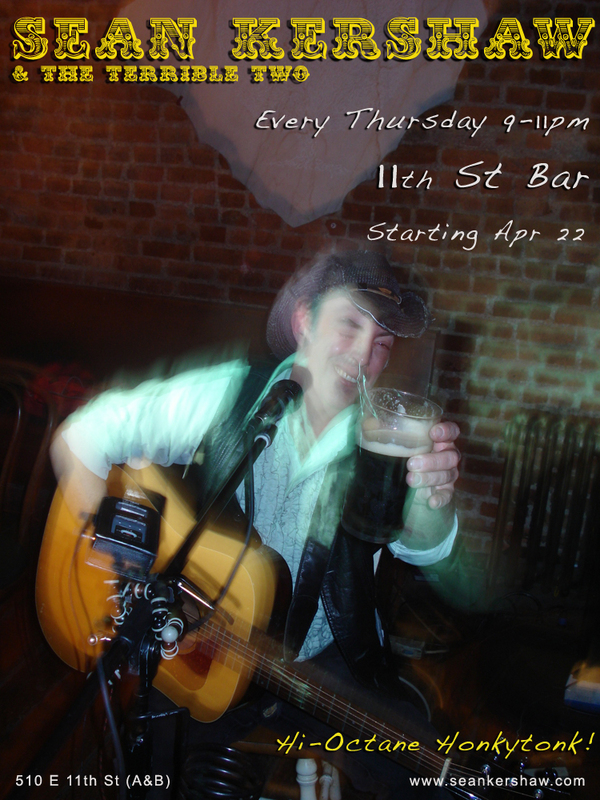 Come and kick off their weekly Thursday residency at 11th St Bar in style! 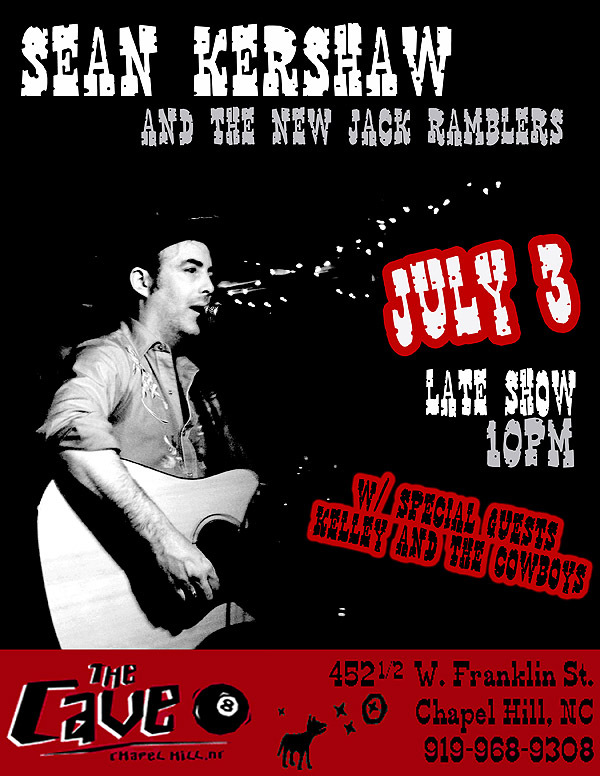 Hilary Hawke opens at 8:30, then the boys take over til 11pm or so, with Hilary and other guests joining ’em for some hi-octane honkytonk action. 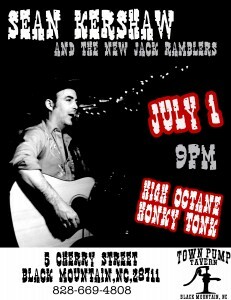 No cover, great sound, cheap drinks at the Lower East Side’s best kept secret. 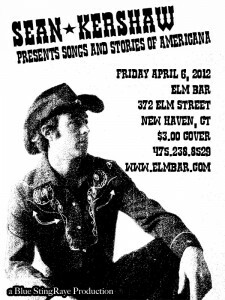 …and for those of you who haven’t seen ’em in a while, a whole slew of amazing new tunes! Please come we’d love to see you! 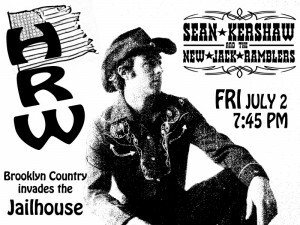 Posted in LIVE SHOWS, PRESS RELEASES | | Comments Off on Thursdays with Sean Kershaw & the Terrible Two!